We are the only accommodation unit situated at the intersection of three important highways: DN1, DN1A and A3, making easy the quick access to Moldova, Bucharest, Prahova Valley and the seaside. 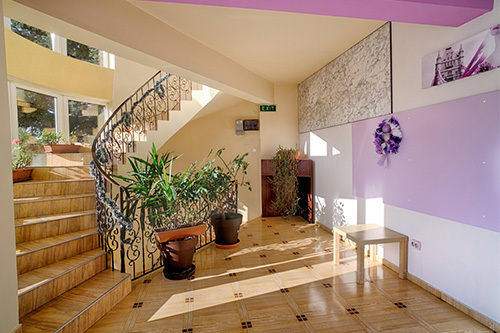 Bistro Boema Guest House is located in Ploiesti, Albert district , at 45 km distance from Bucharest Henri Coanda International Airport. Shuttle transfers to and from airport are available upon request and at a surcharge. 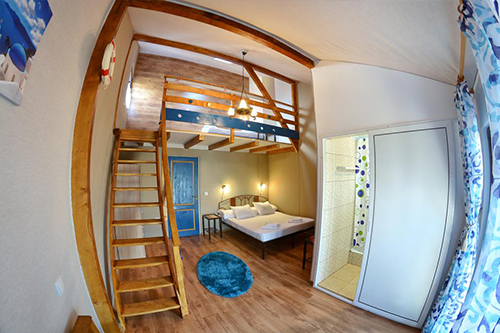 Our single rooms have 22 square meters and feature: private bathrooms, flat TV, free WiFi, air-conditoning, cable channels, dressing, etc. The double rooms come with private bathrooms, flat TV, free WiFi and a few other conveniences (laundry facilities, fan, free toiletries, extra long beds). Our apartments are conceived to offer an unforgettable staying experience. They feature a recreation area, flat TV and couch. Also among the conveniences there are: garden view, anti allergic pillows, towels, bed linen, table with chairs. 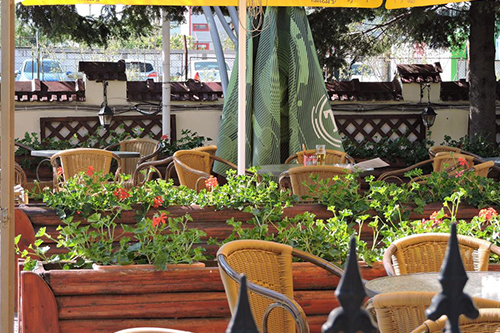 As the temperatures increases, you will be pleased to know we have opened the terrace. Here you can reminisce about times gone by or make new memories over a glass of quality drink.